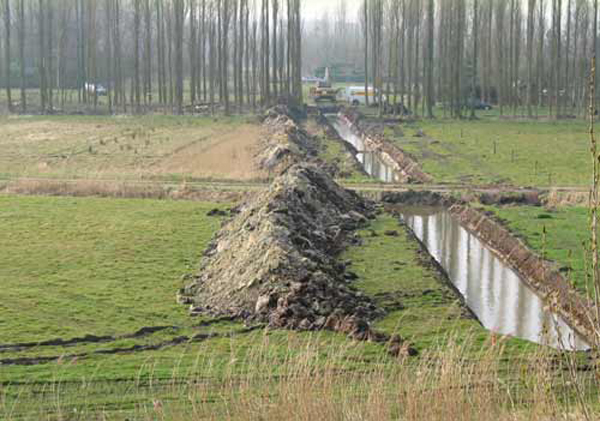 The aim of the FR@ME project was to reduce flood risk in North Sea Estuaries by advancing and promoting innovative solutions involving sustainable new land uses whilst safeguarding the Natura 2000 series and to provide new opportunities for social, economic and environmental benefits. FR@ME assisted in the practical development of sustainable flood risk management strategies in the North Sea estuaries, enabling the most beneficial strategic options and techniques to be adopted. The FR@ME project identified three main study themes: Flood Control Areas, Sustainable New Land Uses and Communications. A number of thematic studies, and the experiences gained through the preparation and realisation of the demonstration sites were shared with extensive groups of stakeholders. This output collected and maintained as on-line best practice manual and the material investments in the field, provide tangible project results for the coming years. Large scale material investments have been an essential part of the FR@ME project. This included the study and preparation, as well as actually contributing to the construction of flood control areas and new land use solutions in the field. The demonstration projects provided effective ‘test cases’ for the proposed solutions, as well as essential ‘show cases’ for communication and decision making. Overall the project activities have had a very positive impact on the development of recreation and ecotourism around the demonstration sites. This is applicable to all sites, but particularly visible at the Zuiderklip in the Biesbosch, Alkborough flats at the Humber and in the IJzer river valley. FR@ME was characterised by a common and highly innovative approach to flood risk management, extensive transnational cooperation on the central themes, with a strong emphasis on implementation and learning from developing the demonstration sites. These sites have had the significant benefit of raising the issues of flood risk management and climate change for discussion and understanding in all partner countries. There are some ‘spin-off’ examples from the demonstration projects. One example was the Alkborough flats demonstration project in the UK. All-in-all, more than £ 6 million has been invested in green tourism and visitor projects in the North Lincolnshire area as a direct result of the Alkborough flats demonstration project. The tourism and visitor projects are now being led by one of the Alkborough flats-project partners, the North Lincolnshire Council – UK Local Government agency. The collected knowledge on the main themes of the project, accessible by the BPM website, will ensure that future estuary projects can use the revised and updated information on communication strategies, flood control areas, alternative land use strategies in estuaries, social-economic costs/benefits, developments in Bird-/Habitat Directive (Natura2000) areas and decision making methodology.